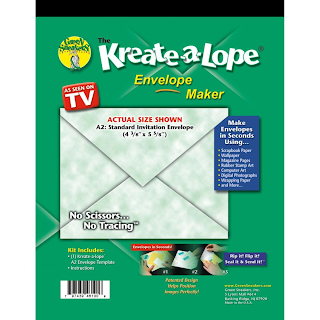 I think this looks like a fabulous new tool for making envelopes. If you would like to order any of the following items, please email or call 574-784-9050. Let me know what you think. I love making envelopes for my cards, but don't often have the time it takes, and this looks fast and easy. This award winning patented envelope template makes standard invitation size envelopes 4-3/8"x 5-5/8" . Minimum size paper you need to start is 8"x8". 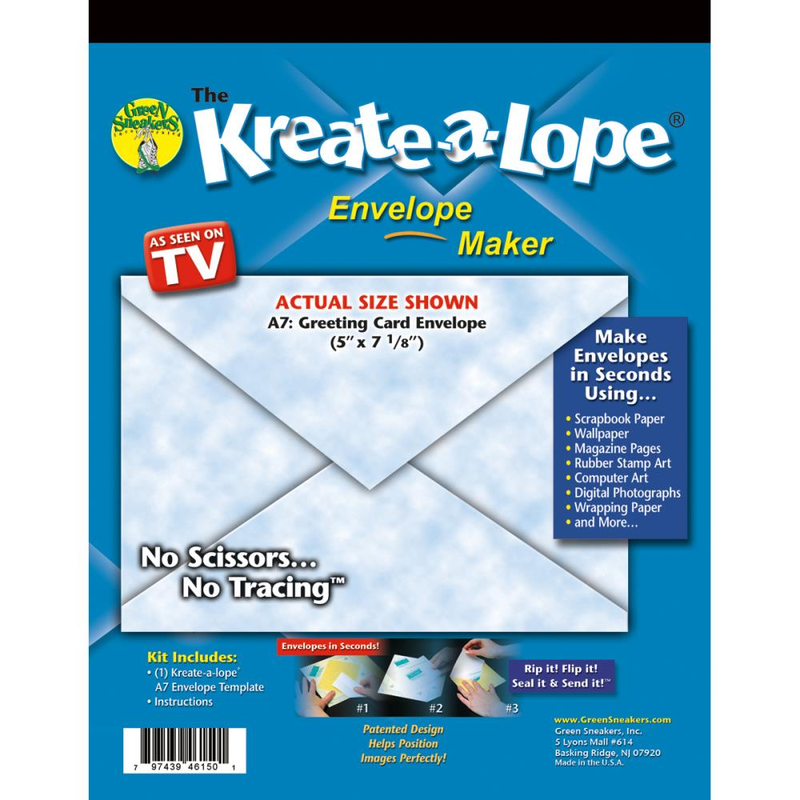 Makes standard A7 envelopes 5" x 7.125", greeting card size, with no scissors and no tracing. Minimum size paper required to make an envelope with this template is 9.75" x 9.75"
No scissors, no tracing and no measuring! Make envelopes in seconds using scrapbook paper, wallpaper, magazine pages, rubber stamp art, computer art, digital photographs, wrapping paper and more! This package contains one A6 envelope (4-3/4" x 6-1/2") template and instructions. Made in USA.